Richard Harrison, famously known as “The Old Man” from the hit reality show “Pawn Stars” has died at the age of 77, according to his son Rick Harrison. “Richard Benjamin ‘The Old Man’ Harrison passed away this morning surrounded by those he loved,” Rick Harrison told TheWrap Monday. “He will be tremendously missed by our family, the team at Gold & Silver Pawn and his many fans the world over. “He lived a very full life and through the History television show ‘Pawn Stars’ touched the lives of people all over teaching them the value of loving your family, hard work and humor. We appreciate everyone’s thoughts and prayers and ask that we are provided some privacy at this time,” he concluded. Rick Harrison also posted a tribute to Instagram. As did his son, Old Man’s grandson, Corey Harrison. 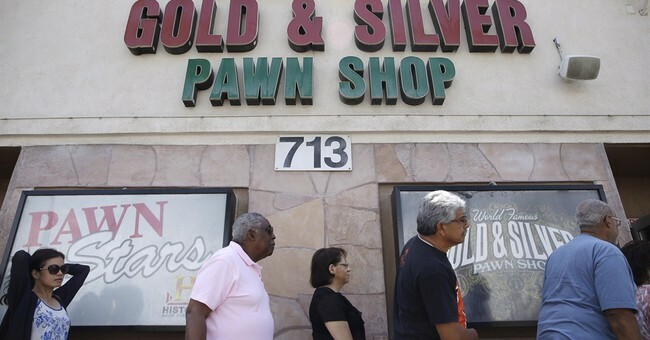 Richard Harrison moved to Las Vegas and opened Gold & Silver Pawn Shop with his son, Rick, in the late 80s. The family business soon transformed into a multimillion dollar company, and in July of 2009, it got its own show on the History Channel, “Pawn Stars.” The hit series has been running for 15 seasons. Rick Harrison posted to Instagram that "The Old Man" passed away after losing a long battle with Parkinson's disease.